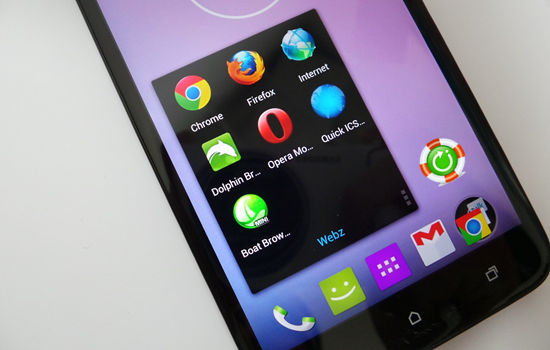 Home > Android Tips and Tricks > Which Android Web Browser is the Best? Which Android Web Browser is the Best? Nowadays Android smartphones are powerful enough to run heavy apps and apps. There are several powerful Android browsers which can open almost any website. Be it resource heavy website or a lite Website, Android browsers can open any site with ease. But the problem is that there are many browsers which can confuse you which one to use and which one to ignore. So check out the top best 4 web broswers for Android in 2018. Google Chrome is best Android browsers directly from the Android Maker, Google. 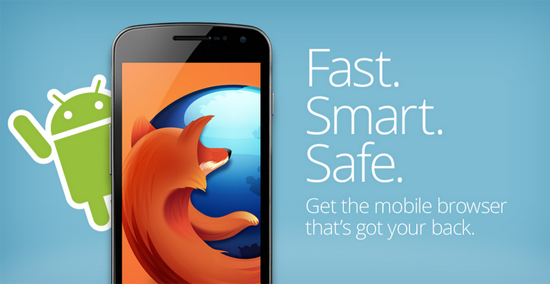 This browser is fast and comes pre-installed on your Android Phone. With Google Chrome you can download Videos, Images and other documents. Tip: If in case you have mistakenly deleted any important downloaded file, then you don’t need to worry as you can recover the deleted data from Android with ease. Fast and Save Data. When you turn on the Data Save of Chrome, you are able to browse and navigate the web with less data. It can help you save up to 60% of data as this browser compresses text, images, videos and websites without lowering their quality. Data Saver is so smart that it will automatically optimize the websites to save up to 90% data, loading pages 2x faster when you are in a slow internet connection, like 2G connection. One Tap Away to All Your Favorite Content. 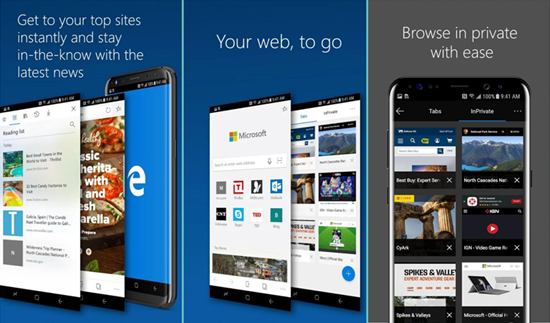 This browser is specially designed to let you are just one tap away from all your favorite content. From the new tab page, you can tap on your favorite news sites or social media directly. Chrome also has the “Tap to Search” feature on any webpage. By tapping on any word or phrase you can start a Google search while still in the page you are enjoying. Download and View Offline. It has a dedicated download button, which you can conveniently use to download videos, pictures, and the entire webpages with just one tap. 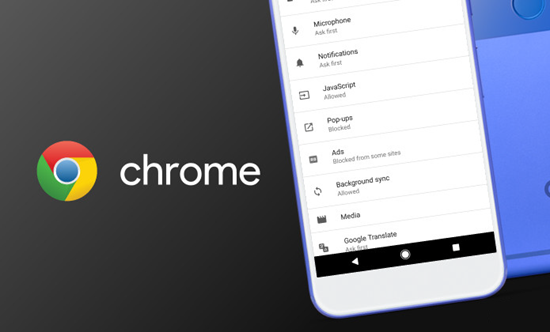 Chrome also has the Downloads Home right inside the browser interface, where you can access all the contents you downloaded, even when you are offline. 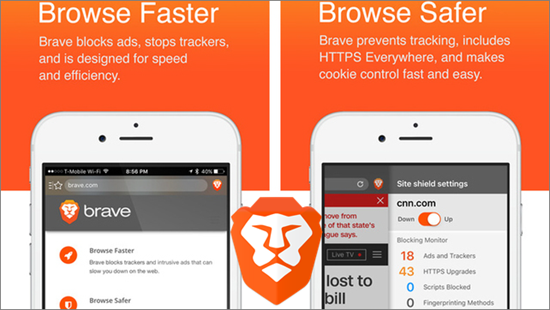 Ads-Block: Brave features with a built-in ads-blocker to offer users ad-free and seamless browsing experience. Fast & Secure: It simply provides the fastest and most secure browsing experience for Android without external plugins or settings to manage or configure! Hence, you can enjoy lightning fast browsing without popups, malwares or other annoyances. Battery & Data Optimization: It reduces the page loading time, improves performance, and guards from ads infected with malware. Brave shows a 2x to 4x speed increase on Android, so you will see a direct reduction in both battery and data plan consumption. The third best web browser must be Mozilla Firefox Focus. It is very fast and loads pages smoothly. Privacy is the main focus of this browser, and Mozilla Firefox works by default in private browser. The size of this browser is just 4MB, so you can download it at a fast speed. Automatic Privacy: It blocks a wide range of common web trackers without any settings to set, and erases your history with ease – no passwords, no cookies, no trackers. Browse Faster: By removing trackers and ads, Web pages may require less data and load faster. This web browser comes from Microsoft, which has Microsoft Internet Explorer browser for PC for ages. It was announced recently and soon after its launch, it has made its debut. Continue on PC: Go anywhere and pick up where you left off by seamlessly moving content between your mobile device and PC (requires Windows 10 Fall Creator’s Update). Data Sync: It can sync your favorites and reading list across your devices, so no matter which device you are using, your browser is always personalized to you. Hub View: With your favorites, reading list, history and books all in one place, this browser makes it simple to finding and managing your content. Reading View: Reorganize the content on a webpage to make it easier to focus on what you’re reading. QR Code Reader: Easily read QR codes at the touch of a button. Microsoft Edge will pull up the reading and information right onto your screen. Voice Search: You can now use your voice to search the web without tapping the on-screen keyboard. It lets you to ask a question or speak a prompt to use the web in more natural, familiar ways. InPrivate: This app enables you to browse in InPrivate mode, and your browsing data including browsing history, temporary internet files, and cookies won’t be saved on your device. So as these are the top 4 Android web browsers in 2018, which one is your favourite? Or do you have a better one to recommend? Please share with us in the common section below.